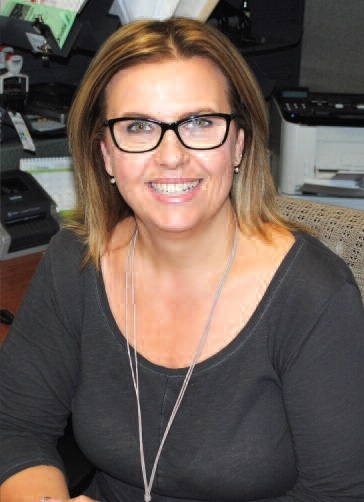 A variety of positions and experiences over several years led Corrie-Jo Delwo to a temporary position with the then Regional Municipality of Sudbury’s engineering department. Today she is co-ordinator of permits and approvals integration for the City of Greater Sudbury’s Building Services. In her current role, Delwo draws on a variety of past experiences to manage a staff of full-time and seasonal employees who issue various permits relating to the Ontario Building Code Act, prepare statistical reports and maintain prescribed regulatory and corporate benchmarks for building permit issuance. 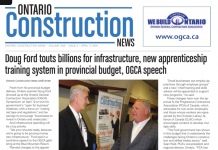 “I also develop and implement procedures to ensure building permit issuance is efficient, cost effective and in compliance with legislative regulations required under the Ontario Building Code Act,” she said. Delwo has helped develop the city’s current Building Services Permit Software System and made recommendations for improvements. She is a member of the Ontario Building Officials Association (OBOA) and recently served as chair of the Residential Awards of Excellence Committee for the Sudbury and District Home Builders Association. Chief Building Official Guido Mazza says Delwo was instrumental in facilitating a test pilot consumer protection program with Tarion, which led to an award presented to City of Greater Sudbury mayor Brian Bigger by the Ontario Building Officials Association (OBOA), Ontario Home Builders’ Association (OHBA) and Tarion, recognizing the city’s leadership in support of the 2015 Illegal Building Prevention pilot project. She says Mazza has helped her develop the skills and resolve she sometimes needs to handle the challenges and complexities of provincial and municipal legislation, which result in not everyone leaving her department happy. 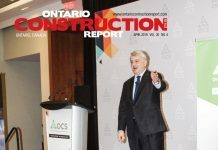 “It can be a challenge to remain calm and to try to discuss legalities, procedures, and policies with someone who thinks they know everything when they know little or nothing about construction, zoning bylaws, or the Ontario Building Code Act,” she said. She considers her ability in handling these challenging client situations, combined with her success in becoming a manager without post-secondary education, to be her greatest accomplishments. Delwo says she absolutely recommends others (both men and women) to consider a building official career. For women, she says starting in administrative roles can be a great way to get a foot in the door and to challenge gender stereotypes along the way.